It’s been said that regret is insight that comes a day too late. We know for a fact that there is no room for regret when fulfilling your loved one’s final wishes. We also know that many families have suffered the heartache that stems from choosing the wrong cremation provider. The effects of this choice can be devastating–more importantly, they cannot be undone. Ballard-Durand wants you to make the best decisions possible. Don’t assume that all cremation providers are the same. Ask questions. Do they follow a code of ethics? Do they have a tracking system? How can I be sure the cremated remains I receive are those of my loved one? Avoid heartache and regret by taking the time to ask questions and learn more about the cremation process. Don’t make your decisions based on price alone. Make sure they quote you the complete cost. Don’t underestimate the importance of face-to-face contact. Be sure to schedule a face-to-face visit to meet the staff and inspect the facility. We invite you to spend some time with us exploring our facility and your memorialization options. 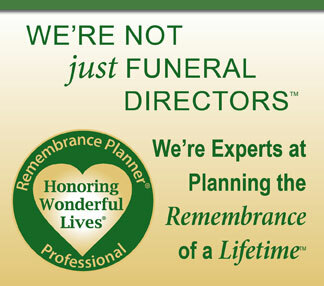 We want you to take all the time you need, so that you feel more confident about your cremation decision. Ballard-Durand was amazing! It was our first death in the family and we were really grief stricken. However, they walked us through the entire process and were so so helpful, making sure every detail was covered. They handled everything with such compassion. Great to work with!